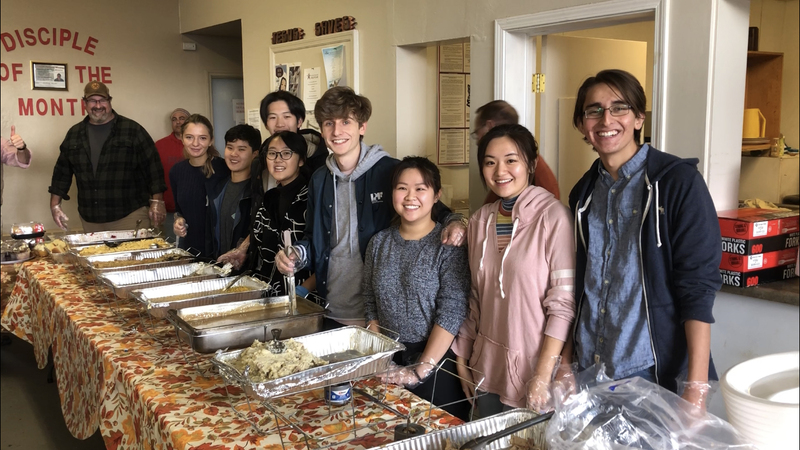 For the second consecutive year, a group of Southwestern Academy volunteers – 7 students and 1 alumna – traveled to Flagstaff to help make the Thanksgiving holiday a brighter occasion for the community’s homeless and less fortunate. With colder weather and a greater need this year, the diverse group of volunteers – students, former clients, families, and community groups – and the Mission’s staff all pitched in to make the effort a joyous success by serving Thanksgiving dinner to an estimated 500-600 people. 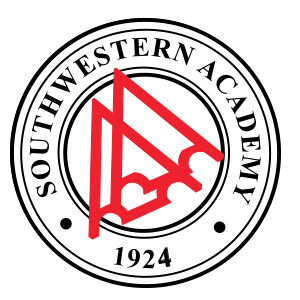 Southwestern Academy volunteers helped in the setting up by slicing about 60 pies to be placed on the tables for dessert, then manning the 8 food server stations to fill the plates delivered to the waiting guests by additional volunteers. Dinner seatings were scheduled each hour, and we worked the 3 first and busiest times: 11:00, noon, and 1:00. In the “down time”, take-out meals were also prepared as the Mission expanded their outreach by delivering meals to those unable to attend. The spirit, camaraderie and effort demonstrated by all the volunteers were both rewarding and much appreciated by the dedicated staff of the Sunshine Rescue Mission.